Today is Paula’s birthday, and of course, now that time has passed, our thoughts turn to so many of the fun times and things we remember about her. 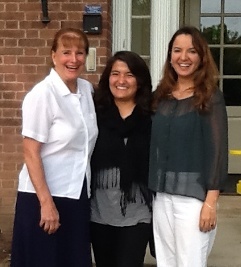 We had an especially momentous event yesterday in Wallingford, Ct., as the first recipient of the Paula Loyd Foundation Scholarship, Narges Mahdi of Kabul, Afghanistan, graduated from Choate Rosemary Hall, the school that on April 24th of 2013, awarded Paula the Alumni Award in Recognition of Outstanding Achievement. It was such a pleasure to be there for Narges’ graduation, and it was so inspiring and heartwarming to me to be able to visit with the many teachers and people who worked with Paula, and grew to love her, as we have, and to listen to their stories about her, as if it was yesterday instead of twenty-four years ago. Her presence and influence is still extremely evident. They very much appreciated Narges’ attendance at their school, and the sacrifice Paula made so that girls from Afghanistan – girls for whom an education like that would otherwise be impossible – could get a great education. If you missed the video of last year’s Award Ceremony, please check the Foundation web site – paulaloydfoundation.org. Also, please check out this year’s Award Ceremony, where the recipient, Amy Lehman, one of Paula’s many friends, also paid tribute to Paula. It was very touching. The Board of Directors of the Foundation will be meeting soon, and we are going to take into consideration the lessons we have learned from our first experience in this very important work, to revamp how we do some things, and will keep you all posted on any changes, some that will possibly need your input or assistance.